This… is Santa Clarita. Population: Estimated at 193,000. That keeps it the 3rd largest city in Los Angeles County. There are about 4,000 more females living here than males, and the median ages are 34 (males) and 37 (females.) 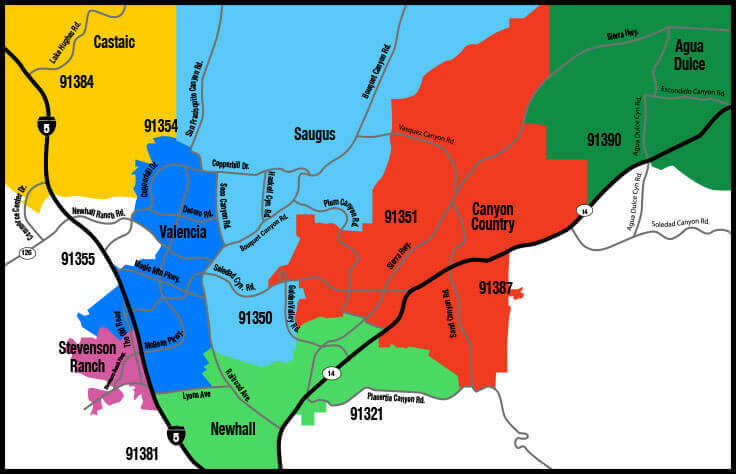 The city was incorporated in 1987, combining the towns of Saugus, Valencia, Newhall and Canyon Country. Interested in a starter home? Below, are the current median list prices of detached homes in Santa Clarita. For a more comprehensive look at current sales stats for ALL the cities in the Santa Clarita Valley, click on the report below.